SuperClean Cleaner Degreaser is available in 32 ounce spray bottle, 1 gallon, 2.5 gallon and 5 gallon bottles for bigger jobs and cost savings. It dissolves grease on contact and quickly removes grime, oil, wax, dirt and tar. Industrial strength, yet biodegradable and phosphate free. Use powerful SuperClean cleaner degreaser at full strength for your toughest tasks. Dilute it for your everyday messes and save money. SuperClean tackles hundreds of household, automotive and shop tasks is super fast and super easy to use. 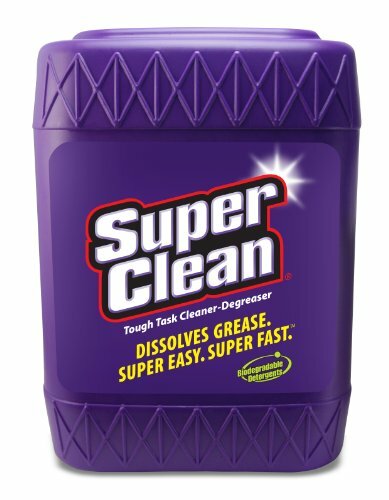 If you have any questions about this product by SuperClean, contact us by completing and submitting the form below. If you are looking for a specif part number, please include it with your message.